In Georgia, the strictest state in the nation for DUI license suspension, if you are pulled over for any reason and the officer has reason to believe you are under the influence of drugs or alcohol, he has the right to administer field sobriety tests to determine whether you can safely drive. The penalties are tough and complex. For your First Offense Georgia DUI, a Misdemeanor, you will face a jail sentence from 10 days up to 12 months, with a minimum of 24 hours to serve, but any jail time not served may be probated for a period of 12 months, with credit for time served; a fine of at least $300 and up to $1,000; mandatory community service of at least five days (40 hours); and a minimum driver’s license suspension of 12 months. You must also attend 20 hours of a Alcohol/Drug Use Risk Reduction Program (DUI School); and be evaluated for an alcohol/substance abuse problem, following the recommendations from the evaluation. For a first offense Georgia DUI, a limited driving permit (hardship license) may be granted immediately by the Georgia Department of Driver Services. This permit is only good for 120 days. If you have completed your court-ordered DUI school, you can request the court to reinstate your regular driver’s license early, after the 120-day permit lapses. For your Second Offense Georgia DUI, a Misdemeanor, you will face a jail sentence from 90 days up to 12 months, with a minimum of 72 hours to serve, but any jail time not served may be probated for a period of 12 months, with credit for time served; a fine of at least $600 and up to $1,000; mandatory community service of at least 30 days (240 hours); and a minimum driver’s license suspension of 12 months (but if your prior DUI was within five years, your minimum suspension will be three years). You must surrender the license plates from any vehicle that is registered in your name in Georgia (However, if use of one of your vehicles is necessary to avoid undue hardship for a member of your household, Georgia can issue a special license plate for that person’s use only). Finally, you must also attend 20 hours of a Alcohol/Drug Use Risk Reduction Program (DUI School); and be evaluated for an alcohol/substance abuse problem, following the recommendations from the evaluation. The Georgia DUI court is required to publish a notice of your conviction in your local newspaper, at your expense. This notice will include your mug shot, identifying information about you and where you live, and information about your arrest and conviction. For a second offense Georgia DUI, an ignition interlock limited driving permit (hardship license) will only be available, if it is granted by the court, after 12 months of your driver’s license suspension have elapsed, and only with an ignition interlock device installed on your automobile. 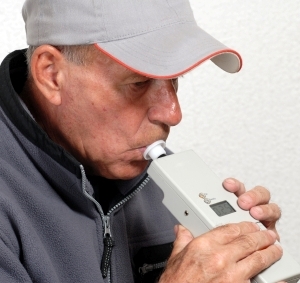 If the cost of installing an ignition interlock device would cause you undue financial hardship, the DUI court can exempt you from the requirement. After driving with this limited driving permit for six months, you can ask the court to consider reinstating your driver’s license early. For your Third Offense Georgia DUI, measured within 10 years of your last DUI, an Aggravated Misdemeanor, you will be classified as a “Habitual Violator.” You will face a jail sentence from 120 days up to 12 months, with a minimum of 15 days to serve, but any jail time not served may be probated for a period of 12 months, with credit for time served; a fine of at least $1,000 and up to $5,000; mandatory community service of at least 30 days (240 hours); and a minimum driver’s license revocation of five years. For a third offense Georgia DUI, a habitual violator’s limited driving permit (hardship license) will only be available, if it is granted by the court, after three years of your driver’s license suspension have elapsed, only in cases of extreme hardship, and only with an ignition interlock device installed on your automobile. After driving with this limited driving permit for six months, you can apply for a limited driving permit without an ignition interlock device. A Fourth or more Georgia DUI Conviction within 10 years from your last DUI becomes a Felony, a more serious crime, and you are classified as a Habitual Violator. This crime carries prison time of one to five years, with a minimum of 90 days of state prison time to serve, but any prison time not served may be probated for a period of five years, with credit for time served; a fine of at least $1,000 and up to $5,000; mandatory community service of at least 60 days (480 hours); and a minimum driver’s license revocation of five years. For a third or higher offense Georgia DUI, a habitual violator’s limited driving permit (hardship license) will only be available, if it is granted by the court, after three years of your driver’s license suspension have elapsed, only in cases of extreme hardship, and only with an ignition interlock device installed on your automobile. After driving with this limited driving permit for 6 months, you can apply for a limited driving permit without an ignition interlock device. Note: If one of your prior three DUI convictions occurred before July 1, 2008, your fourth or subsequent offense will be treated as a High and Aggravated Misdemeanor, and punished under the legal guidelines applicable to a third offense DUI.